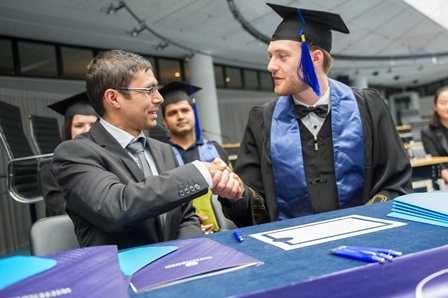 Wittenborg Celebrates Summer Graduation Ceremony in True International Form! 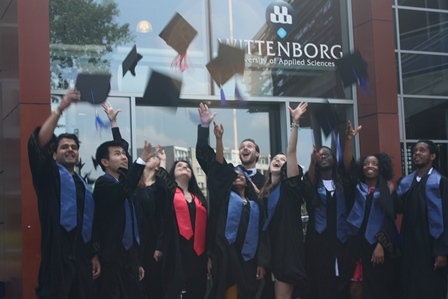 Wittenborg University’s Summer Graduation Ceremony on Friday was yet again testament to its reputation as one of the most international institutes in the Netherlands with this year’s cohort of graduates hailing from 13 different countries! Dr Kaat also reminded students of the advantage that they had earned an exclusive degree from an exclusive private University, something that would certainly stand out on their CV's and make an impression on future employers, as managers would recognise the fact that the applicant has invested in their future and gained their at an institute that promotes entrepreneurship, independent thinking and inter-culturalism and that much of this will have 'rubbed off' on its students. Peter Birdsall, Chair of the Executive Board, told graduates that now their formal relationship with Wittenborg University was over, the informal relationship begins, with a lifelong relationship between alumni and their University. 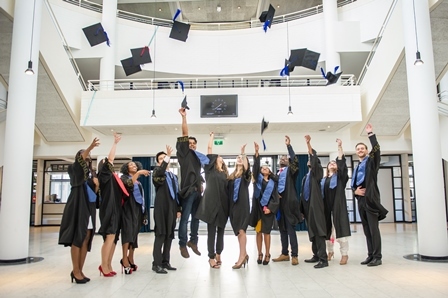 The IBA graduates are Santosh Karki (Nepal) , Mario Wolters (Germany), Maria Iqbal (Netherlands), LiangLiangh Jiang (China), Thabani Moyo (Zimbabwe), Nzambi Mpungu (Congo), Ishebo Twijukye (Uganda), Novrielza Wambrauw (Indonesia), Veerle Knechten (Netherlands), Agnes Ngono (Cameroon), Xin Tian (China), Jing Qin (China), Yvan Lopez Cruz (Spain) and Mariya Alpysbayeva (Kazakhstan).